I have lived in London for 18 months now and I thought I’d made a short list of my favourite places to visit. I am very lucky that all of the places listed below are all within a 30 minute radius of my house. But they are all worth a visit even if you live further away. Enjoy! 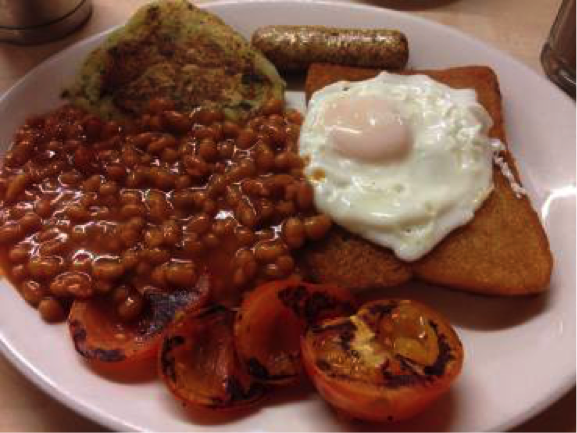 E Pellicci is a wonderful, family-run cafe where you can get a greasy fry-up or a steaming hot bowl of pasta and be delighted by both. I probably go there most weeks as it is a great breakfast spot- their veggie breakfast is one of the best I’ve ever had and think it will be very hard to beat! Plus they’ve made these awesome t-shirts (awkwardly modelled by me) which means I can represent them wherever I go. This is my go-to cafe, I cannot rate it highly enough! Why not visit and let me know if you think it is worthy of such praise? 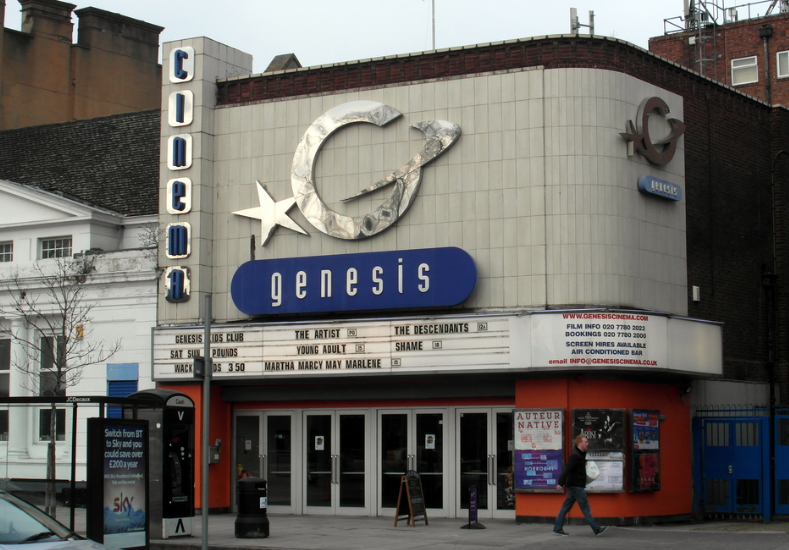 Genesis Cinema is hands down the best cinema ever. Showing a mixture of mainstream and independent films, there is always something interesting to watch. It is cheaper than your average cinema with tickets for £4.50 on Mondays and Wednesdays. They also regularly host free screenings of classic TV shows such as The Simpsons and Friends, as well as fun events such as poetry slams. Another thing that makes Genesis so special is their regular feminist events such as the screenings of #Directedbywomen2017 and the recent Genesisters live music show. If this isn’t enough to persuade you to want to visit, they also have incredibly tasty nachos too! 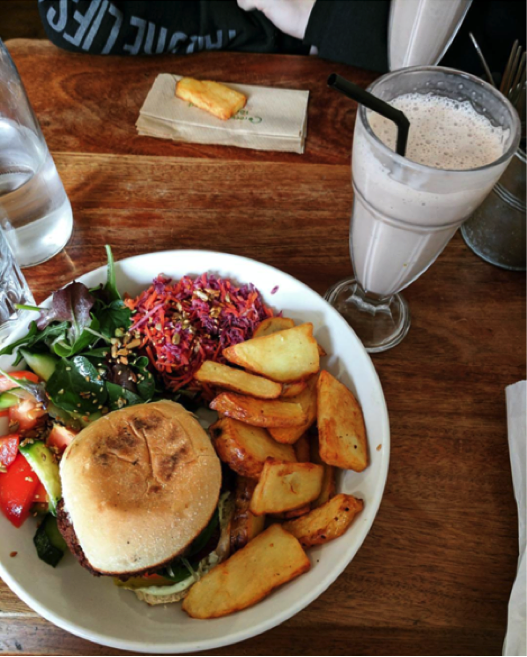 The Black Cat Cafe in Hackney is an all vegan cafe with a constantly evolving menu of cruelty-free treats. Although it is a little harder for me to travel to, it is definitely worth the effort as their milkshakes are to die for- literally. Always busy, the homely atmosphere makes you feel that you are miles away from busy London. I also love the fact that you are surrounded by people united by the animal rights cause- I think that is pretty cool and an incentive to go in itself. This place is a MUST visit for vegans and non-vegans alike as it is a completely unique experience- I cannot wait to go back! 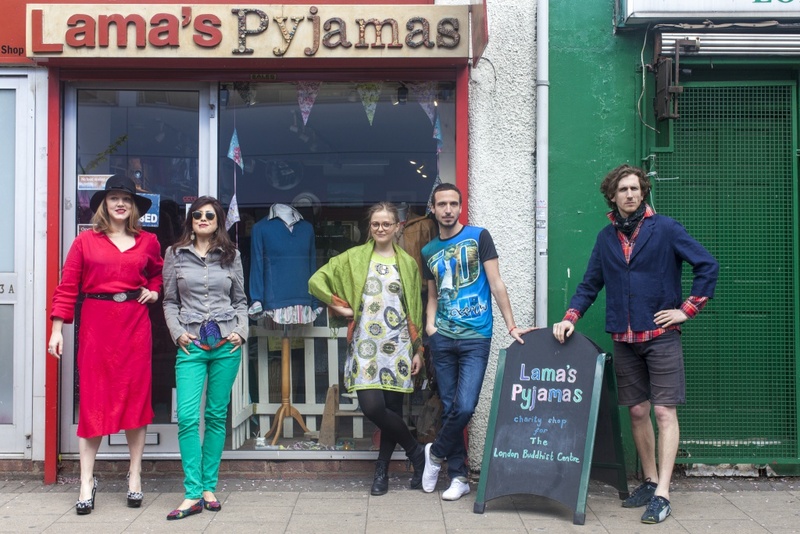 It might not look like much but Lama’s Pyjamas is a charity shop guaranteed to please any thrifty bargain hunter (or poor student!) Raising money for the London Buddhist Center, they always have a large selection of clothes with many recognizable brands such as Monsoon, Pull & Bear, Topshop and last but not least: River Island. Occasionally, you might get extra lucky (as I did once) and find a brand new pair of Nike trainers for only £30! They sometimes have sales of 50% off everything, which is an excellent time to stock up on all those flannel shirts you soooo desperately need. It joins a whole host of amazing charity shops in the area such as the East End Thrift store which is only a 15 minutes walk away. 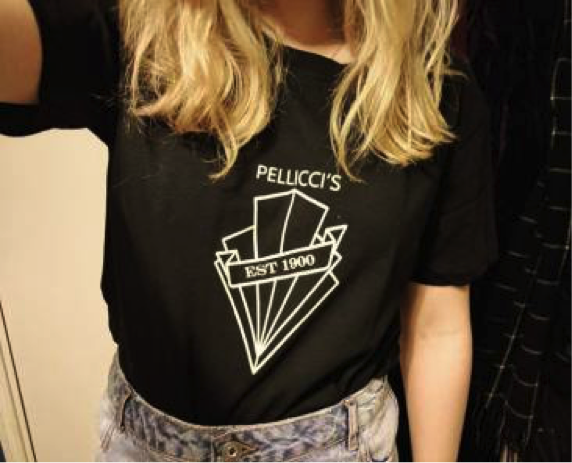 You can even swing by on your way to E Pellicci! 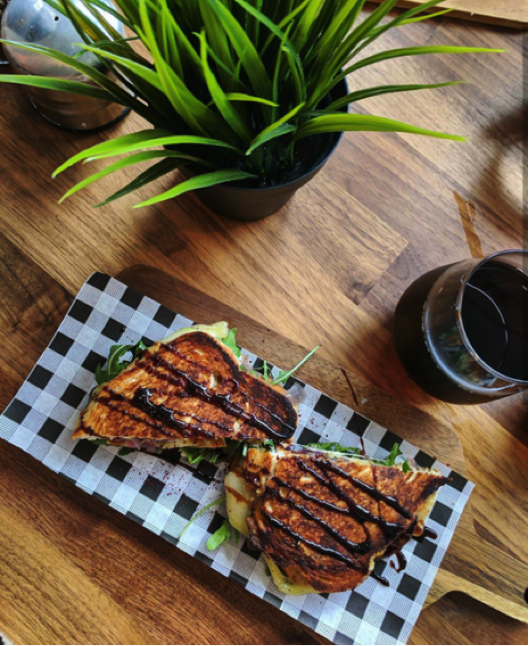 Recently opened, this veggie/vegan tapas-style grilled cheese bar brings something different to Mile End and I LOVE it! Featuring such sandwiches as: ‘The Mean Green Melt’ and my personal favourite: ‘The Donald Trump Mexican Melt’, this is a lovely place to go with friends. The long, Wagamama-style seating gives the restaurant a relaxed, sociable vibe and the staff are friendly and always willing to chat. 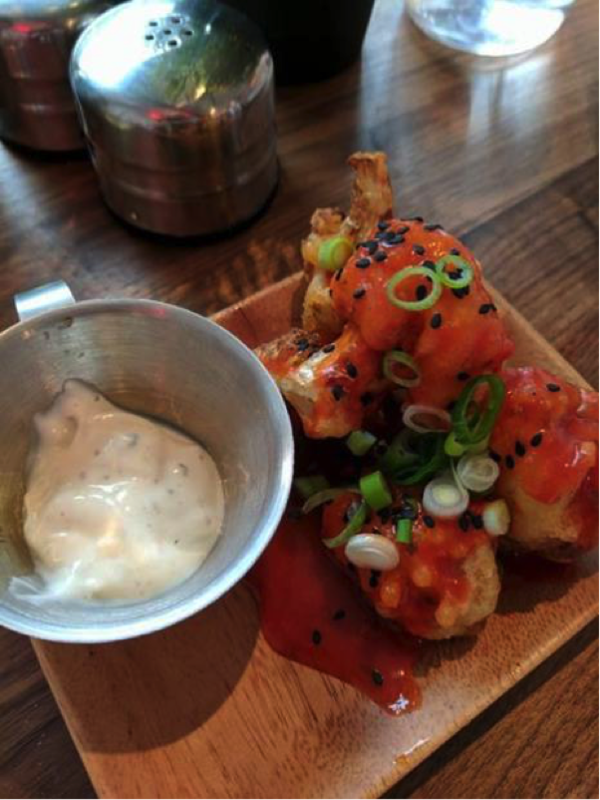 If you do decide to go, the cauliflower buffalo wings (pictured below) are a must have. But don’t just take my word for it, have a taste for yourself- so what are you waiting for?